Home > Printable Coupons > B2G1 Purex Coupon | Crystals For $1.66 ea. B2G1 Purex Coupon | Crystals For $1.66 ea. Keep your clothes smelling great with a B2G1 Purex Crystals coupon! 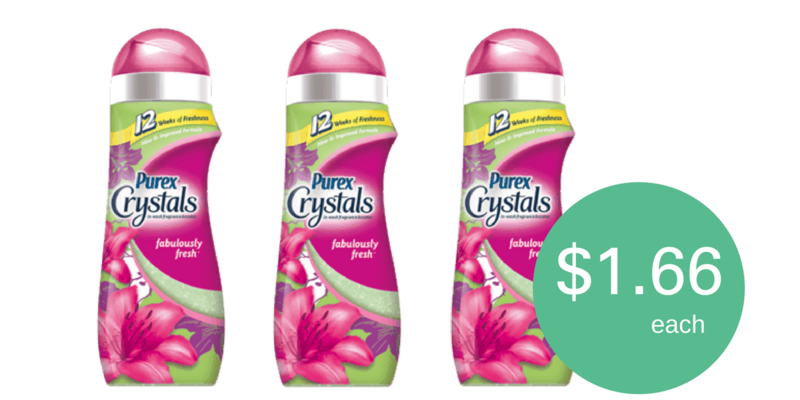 Head to Kroger this week to grab bottles of Purex Crystals for only $1.66 each when you pair the printable coupon with a sale currently running.